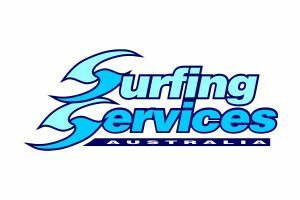 The Surfing Services Australia groms trained hard during Christmas holidays, which is evident from the outstanding results from the surf contests in January & February. Keep your eye out for these kids – they have a big future ahead of them! We have had some really big results from the Pro Junior events that have taken place this year, with a special shout out to our 3 stand out performers, claiming their first PRO JUNIOR VICTORIES!! Mikey McDonagh, Reef Heazlewood and Liam O’Brien are all coached by Mark Richardson. 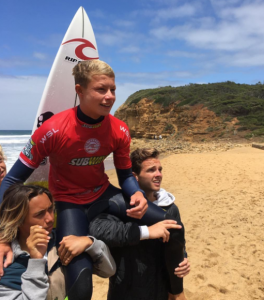 On behalf of Richo and the Surf Services Australia Team, CONGRATULATIONS!! 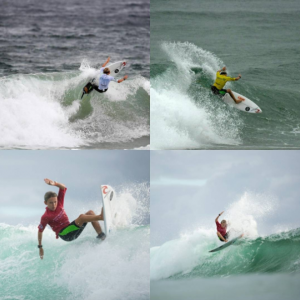 Surfing Services Australia would like to congratulate all of our surfers who competed in the events below. What an amazing bunch of groms we have!! Jordy also won the Highest Wave Score of the event, scoring a 9.87! 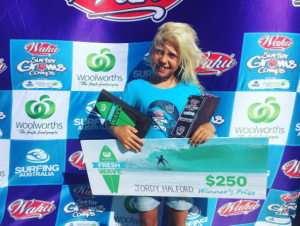 California Barrett placed 1st in the Ripcurl Grom Search at the Sunshine Coast back in December 2016 and as a result, went to North Narrabeen for the National Final. Congratulations on finishing a very respectable 3rd place in the 12 Girls California! All of our star performers are coached by our elite team, Mark Richardson and Gary Cruikshank. Don’t miss out on all the expert advise from our High Performance team. Click on this link to book a private lesson today! 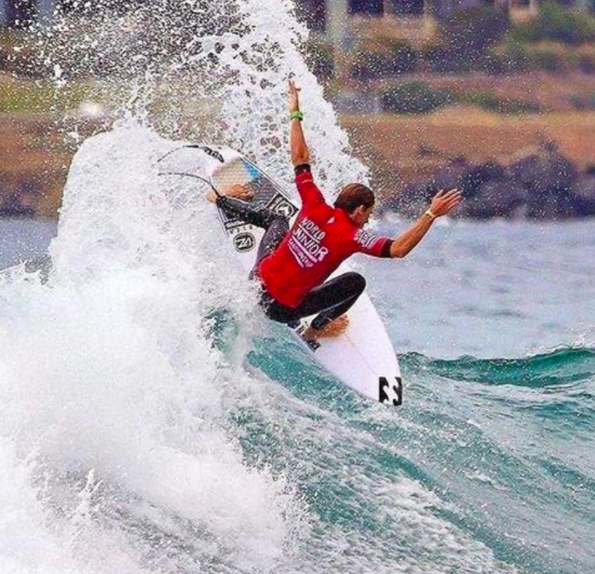 Archer Curtis shredding in the Australian Open of Surf, Manly!